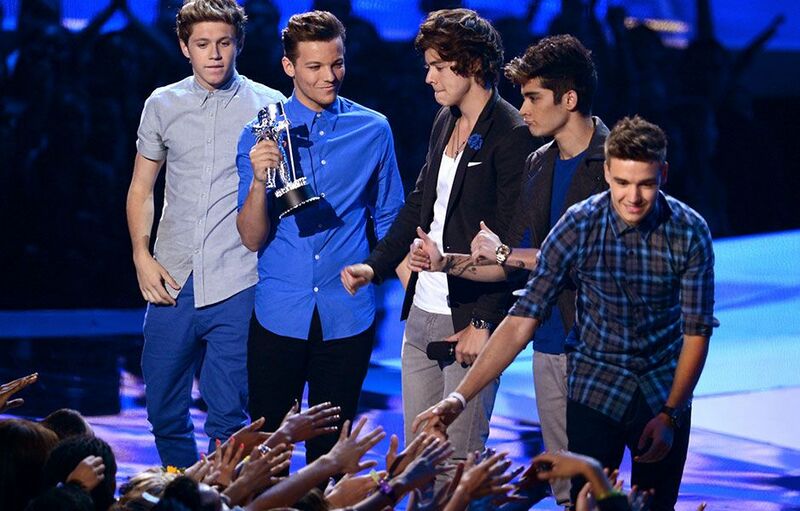 One Direction on stage while accepting the Best Pop Video award for 'What Makes You Beautiful' at the 2012 MTV Video Music Awards. 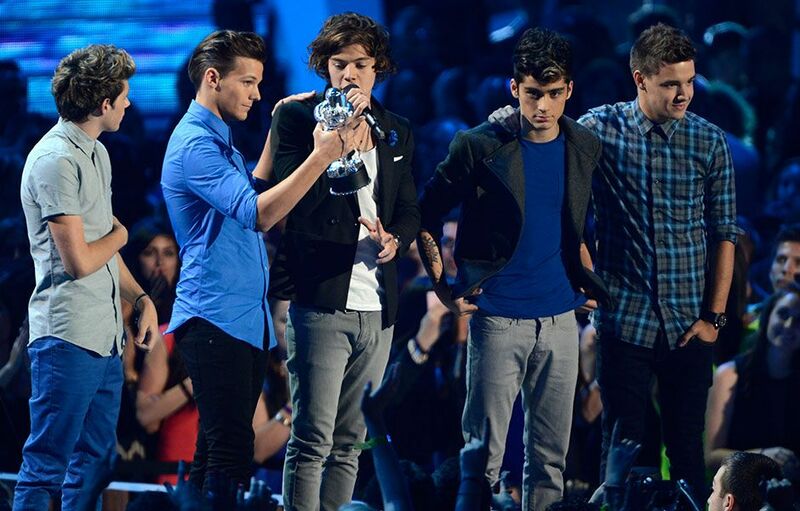 Katy Perry presents Harry Styles of One Direction with the award for Best Pop Video at the 2012 MTV Video Music Awards. 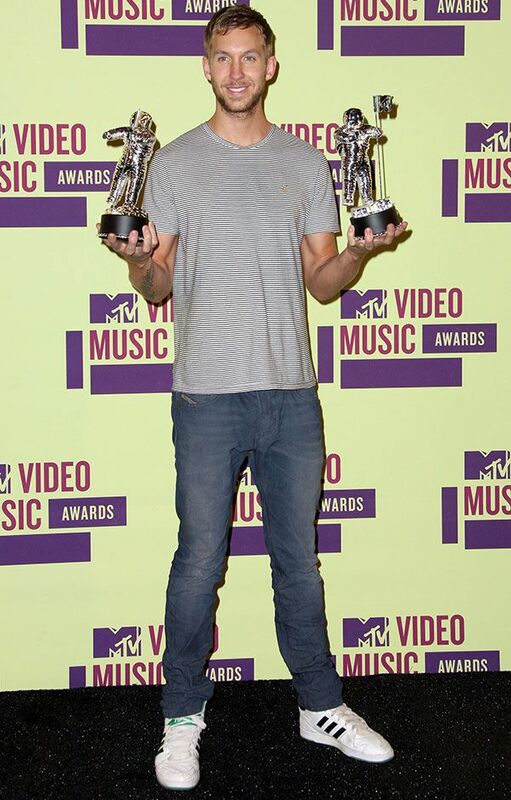 Katy Perry presents Niall Horan of One Direction with the award for Best Pop Video at the 2012 MTV Video Music Awards. Demi Lovato and Rita Ora present Chris Brown with the award for Best Male Video at the 2012 MTV Video Music Awards. 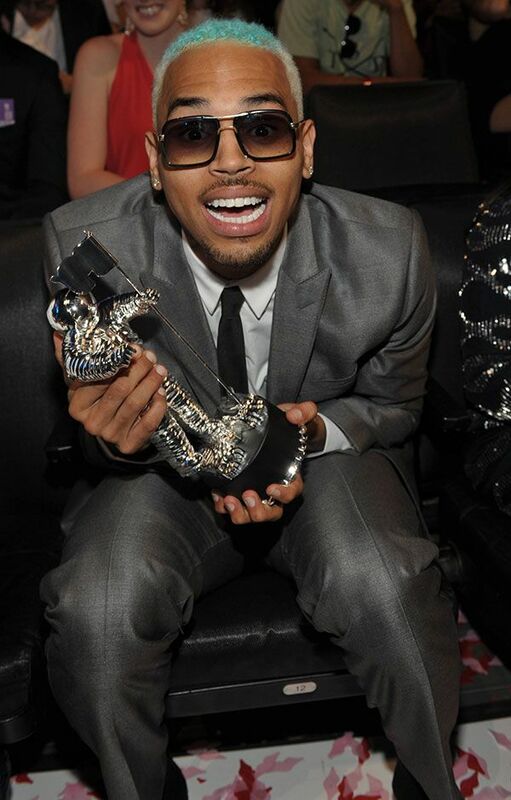 Chris Brown on stage while accepting the Best Male Video award for 'Turn Up The Music' at the 2012 MTV Video Music Awards. Drake is congratulated by his Young Money family before accepting the award for Best Hip-Hip Video at the 2012 MTV Video Music Awards. 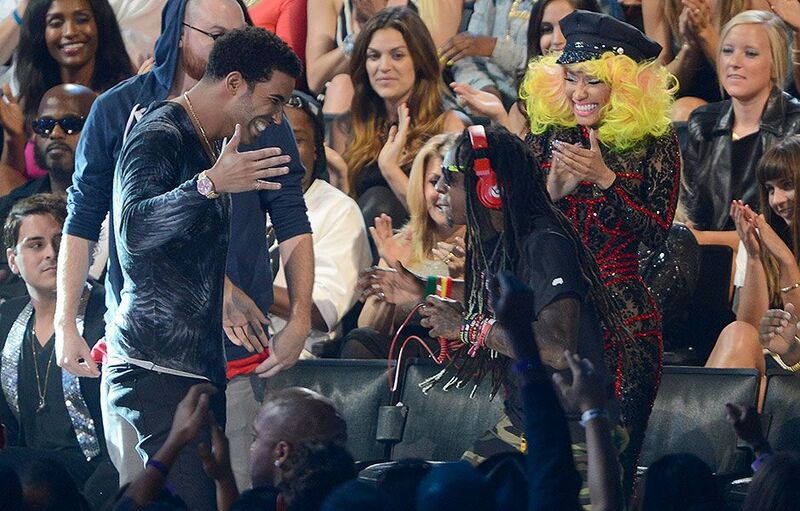 Nicki Minaj and Drake on stage while accepting the Best Hip-Hop Video award for 'HYFR' at the 2012 MTV Video Music Awards. 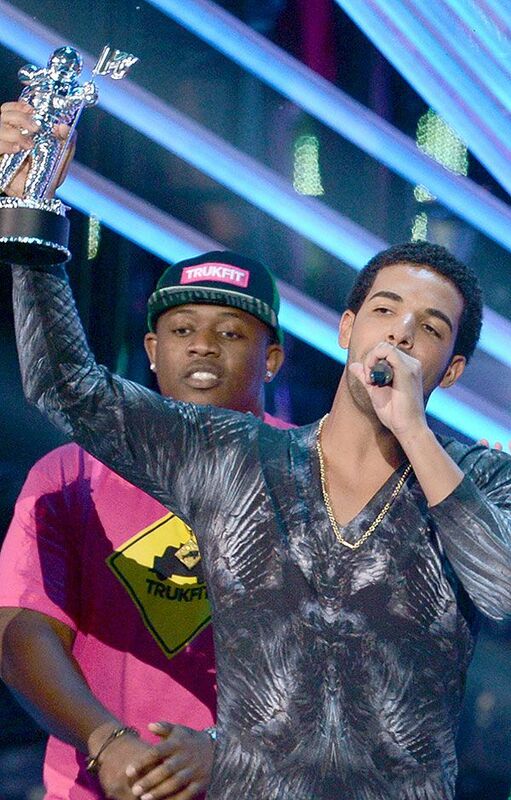 Drake on stage while accepting the Best Hip-Hop Video award for 'HYFR' at the 2012 MTV Video Music Awards. Nicki Minaj on stage while accepting the Best Female Video award for 'Starships' at the 2012 MTV Video Music Awards. 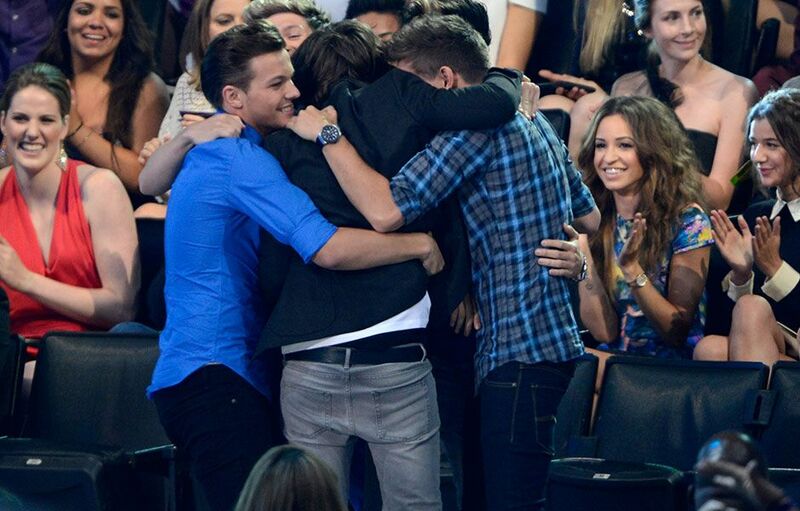 One Direction celebrates winning the Best New Artist award at the 2012 MTV Video Music Awards. 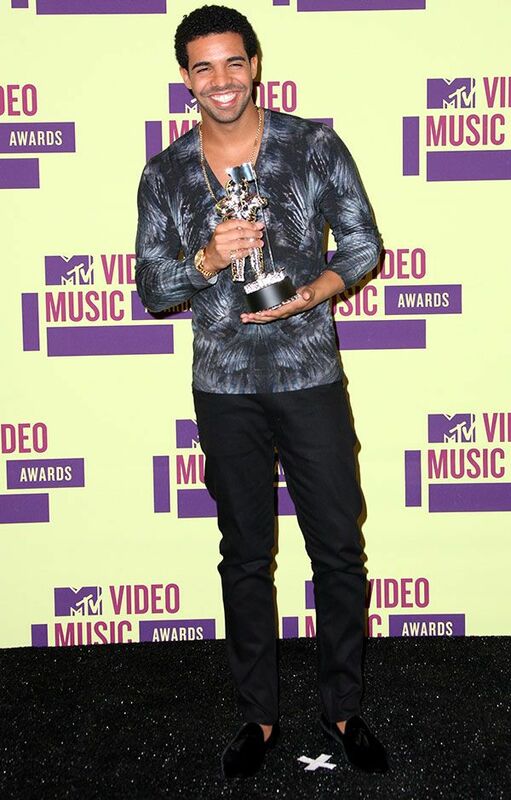 Wiz Khalifa and Ke$ha present Harry Styles of One Direction with the award for Best New Artist at the 2012 MTV Video Music Awards. 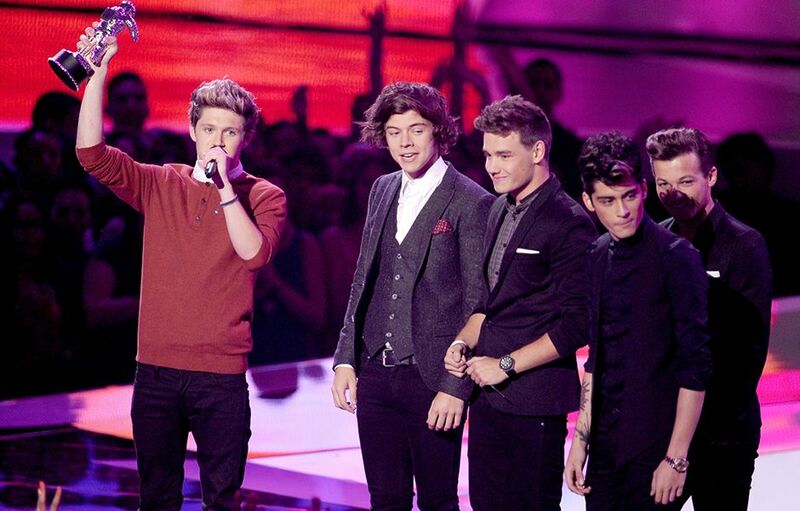 One Direction on stage while accepting the Best New Artist award for 'What Makes You Beautiful' at the 2012 MTV Video Music Awards. 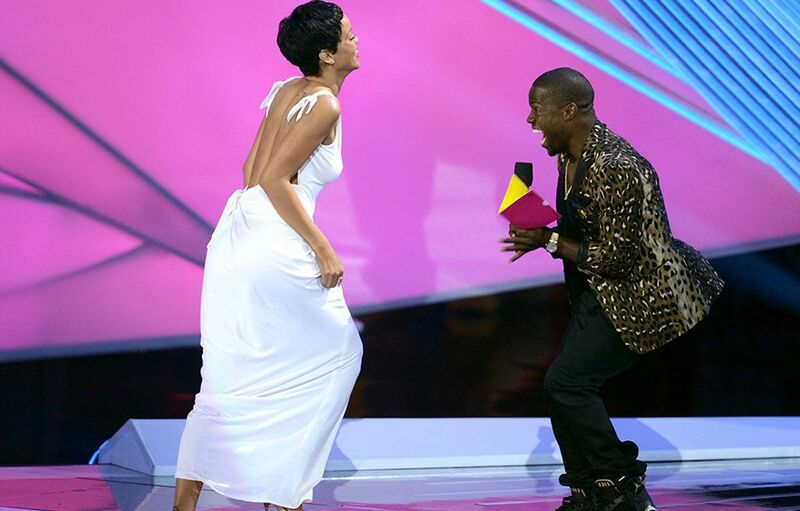 Kevin Hart presents Rihanna with the award for Video Of The Year at the 2012 MTV Video Music Awards. 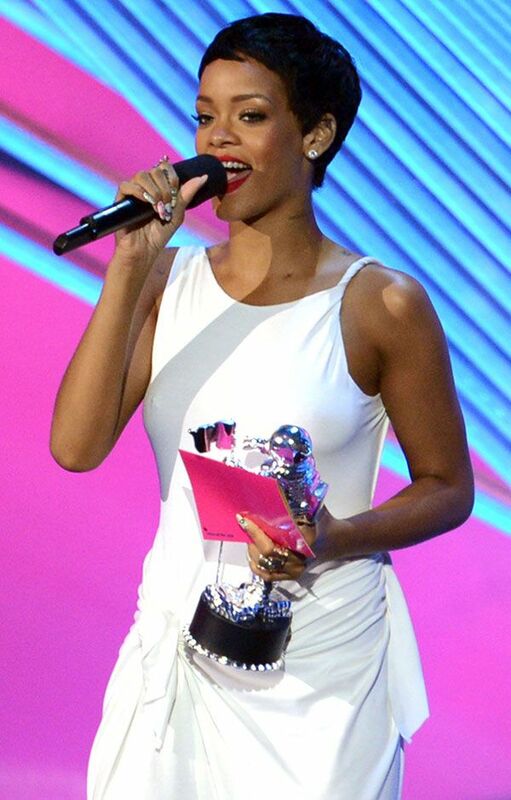 Rihanna on stage while accepting the Video Of The Year award for 'We Found Love' at the 2012 MTV Video Music Awards. 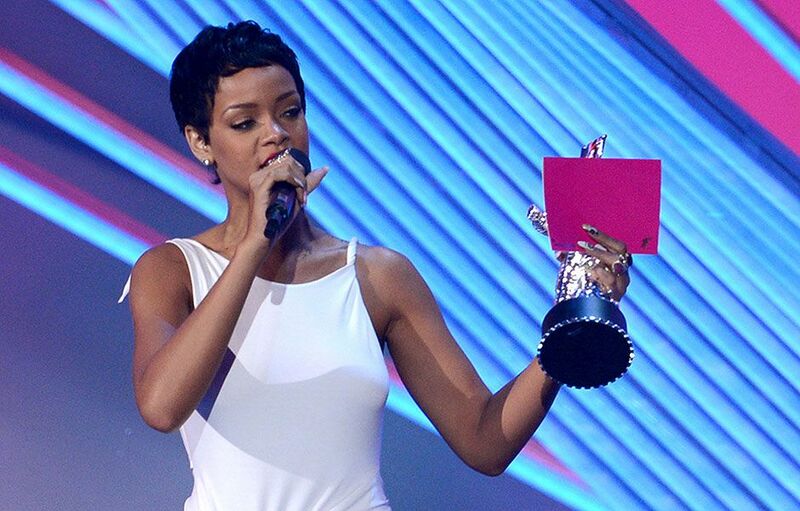 Demi Lovato accepting the Best Video With A Message award for 'Skyscraper' at the 2012 MTV Video Music Awards. Demi Lovato with her award for Best Video With A Message at the 2012 MTV Video Music Awards. 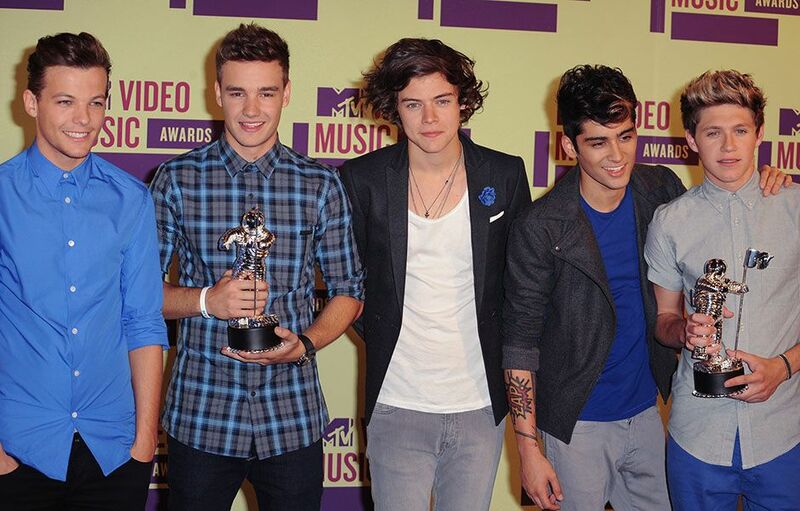 One Direction photographed with their Moonmen at the 2012 MTV Video Music Awards. 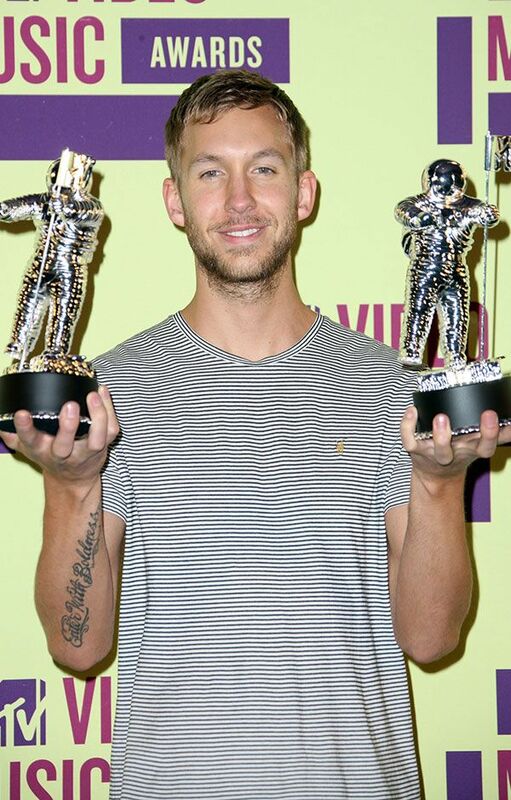 Chris Brown photographed with his Moonman for Best Male Video at the 2012 MTV Video Music Awards. 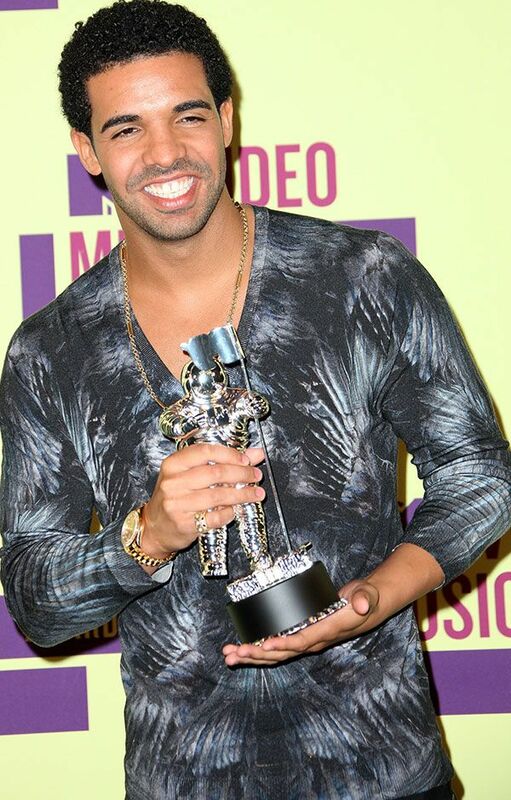 Drake with his award for Best Hip-Hop Video at the 2012 MTV Video Music Awards.